My wife, Ai, and I opened our school in April 2006. My wife was a preschool teacher for over eight years, and I have been teaching English for over ten years after receiving my degree in Education from Western Washington University. 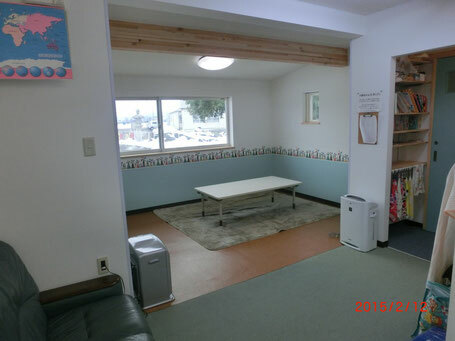 Our combined experience as educators and love for working with children led us to open the doors to Friends English School in 2006 and then expand to Nakaoida, Toyama in 2008. In April 2014 we further increased the size of Friends English School by offering a preschool option for parents who want to immerse their children in English education full-time. We continue to offer weekly classes taught by native English speakers for parents who want their children to remain a step ahead of the rest or just to love speaking and learning English. 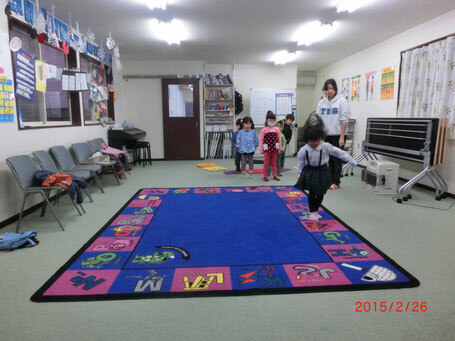 Our larger classroom is used for preschool instruction and larger weekly classes. In this picture Ms. Ryan is teaching one of the weekly kids classes. Can you hop on the letter Ms. Ryan says? Our second classroom is used for smaller weekly classes. Here Ms. Gabby is helping a first year English student work in his textbook. Good luck! You can do it! Our lobby is a spacious and relaxing place for parents to wait for their children to finish class. A big sofa, a table, books, and toys provide many ways to comfortably pass the time. Children will often spend a little time here before class to read a comic book or to play with our toys and puzzles. This room doubles as a space for the two year olds in our preschool. 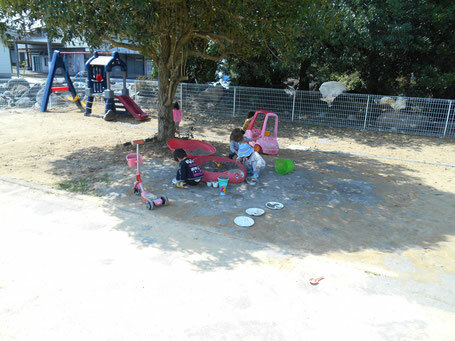 The fenced playground just a few steps away from the school's front entrance provides the perfect place for our preschoolers to play in the warm sun. Weekly students also spend time playing here with their friends before and after class.